PhD in Phyics, Russian Acad.Sci. Plakhotnik, Taras (2011). Optical detection of a single nanoparticle. 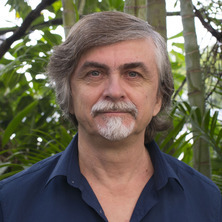 In Klaus D. Sattler (Ed. ), Handbook of nanophysics: Nanoparticles and quantum dots (pp. 15-1-15-19) Boca Raton, FL, United States: CRC Press Taylor & Francis Group. Plakhotnik, T. (2008). Testing Hypothesis with Single Molecules: Bayesian Approach. In E. Barkai, F. L. H. Brown, M. Orrit and H. Yang (Ed. ), Theory and Evaluation of Single-Molecule Signals (pp. 31-59) Singapore: World Scientific Publishing Co Pte Ltd.
Zvyagin, A. V. and Plakhotnik, T. (2006). Optical scatter imaging: Detection limits. In Miroslaw Jonasz (Ed. ), Topics in Particle and Dispersion Science (pp. 1-1) On-line: TPDSci Inc.
Zvyagin, A. V. and Plakhotnik, T. (2006). Video-enhanced contrast optical microscopy. In Miroslaw Jonasz (Ed. ), Topics in particle and dispersion science (pp. 1-1) On-line: TPDSci Inc.
Donley, E. A., Plakhotnik, T., Bach, H. and Wild, U. P. (1999) Coupling constant distribution measured for dynamical interactions between probe molecules and an amorphous polymer host. Optika i Spektroskopiya, 87 4: 672-681. Donley, E. A., Plakhotnik, T., Bach, H. and Wild, U. P. (1999) Coupling Constant Distribution Measured for Dynamical Interactions between Probe Molecules and an Amorphous Polymer Host. Optics and Spectroscopy (English translation of Optika i Spektroskopiya), 87 4: 616-623. Pohl, DW, Bach, H, Bopp, MA, Deckert, V, Descouts, P, Eckert, R, Guntherodt, HJ, Hafner, C, Hecht, B, Heinzelmann, H, Huser, T, Jobin, M, Keller, U, Lacoste, T, Lambelet, P, MarquisWeible, F, Martin, OJF, Meixner, AJ, Nechay, B, Novotny, L, Pfeiffer, M, Philipona, C, Plakhotnik, T, Renn, A, Sayah, A, Segura, JM, Sick, B, Siegner, U, Tarrach, G, Vahldieck, R, Wild, UP, Zeisel, D and Zenobi, R (1997) Optical microscopy in the nano-world. Chimia, 51 10: 760-767. Plakhotnik, TV (1995) Detection of single molecules with a scanning near-field optical microscope: Absorption and luminescence. Optika I Spektroskopiya, 79 5: 747-755. Wild, U, Guttler, F, Palm, V, Plakhotnik, T and Rebane, K (1994) Some Problems in Spectroscopy of a Single Impurity Molecule. Optika I Spektroskopiya, 77 6: 933-940. Wild, U., Guttler, F., Palm, V., Plakhotnik, T. and Rebane, K. (1994) Some problems in spectroscopy of a single impurity molecule. Optics and Spectroscopy (English translation of Optika i Spektroskopiya), 77 6: 839-846. Plakhotnik, T, Moerner, WE, Irngartinger, T and Wild, UP (1994) Single-Molecule Spectroscopy in Shpolskii Matrices. Chimia, 48 1-2: 31-32. Plakhotnik, TV, Krashennikov, VN and Personov, RI (1993) Intensity Distribution in Vibronic Spectra of Molecules Cooled in a Supersonic Jet and in a Crystal Matrix. Optika I Spektroskopiya, 74 6: 1065-1077. Alshits, EI, Kharlamov, BM and Plakhotnik, TV (1988) Role of Spectral Diffusion in Hole Formation in Absorption-Spectra of Impurities in Disordered Matrices in Microsecond and Millisecond Time Scales. Optika I Spektroskopiya, 65 6: 1248-1251. Plakhotnik, T. V. (1988) Multichannel photon-counting system with high space resolution. Instruments and experimental techniques New York, 31 1 pt 2: 196-198. Plakhotnik, TV, Pyndyk, AM, Krasheninnikov, VN and Vinogradov, VP (1988) Multichannel Photon-Counting System with High Space Resolution. Instruments and Experimental Techniques, 31 1: 196-198. Plakhotnik, TV and Pyndyk, AM (1987) A Pulsed Tunable Dye-Laser with the Low-Level of the Broad-Band Background. Kvantovaya Elektronika, 14 10: 1987-1989. Plakhotnik, TV and Pyndyk, AM (1987) A Yalo3-Nd3+ Laser with the Pulse Repetition Rate of 12.5 Hz and Efficient 2nd and 3rd Harmonic-Generation. Kvantovaya Elektronika, 14 8: 1590-1592. Plakhotnik, T. (2006). Fundamentals of optical detection of small particles. In: Robert Sang and John Dobson, Australian Institute of Physics (AIP) 17th National Congress 2006. RiverPhys -17th Australian Institute of Physics (AIP) Congress, Brisbane Convention and Exhibition Centre, Brisbane, Australa, (). 3-8 December 2006. Luminescence lifetimes of single molecules in disordered media. Plakhotnik, T and Donley, EA (2001). Luminescence lifetimes of single molecules in disordered media.. In: Abstracts of Papers of the American Chemical Society. , , (U291-U291). .
Non-Lorentzian spectral line shapes of single molecules: Beyond the sudden jump model. Plakhotnik, T (2001). Non-Lorentzian spectral line shapes of single molecules: Beyond the sudden jump model.. In: Abstracts of Papers of the American Chemical Society. , , (U235-U235). .
Donley, EA, Plakhotnik, T, Bach, H and Wild, UP (1999). Coupling constant distribution measured for dynamical interactions between probe molecules and an amorphous polymer host. In: Optics and Spectroscopy. VIIth International Seminar on Quantum Optics, Raubichi Byelarus, (616-623). May, 1999. Walser, D., Plakhotnik, T., Renn, A., Zumofen, G. and Wild, U.P. (1999). One and two photon spectroscopy on single molecules of diphenyloctatetraene. In: Abstracts of Papers of the American Chemical Society. National Meeting of the American Chemical Society, United States, (U356-U356). 1999. Two-photon and one-photon spectroscopy on a single quantum system. Plakhotnik, T, Walser, D, Renn, A and Wild, UP (1997). Two-photon and one-photon spectroscopy on a single quantum system.. In: Abstracts of Papers of the American Chemical Society. , , (51-PHYS). .